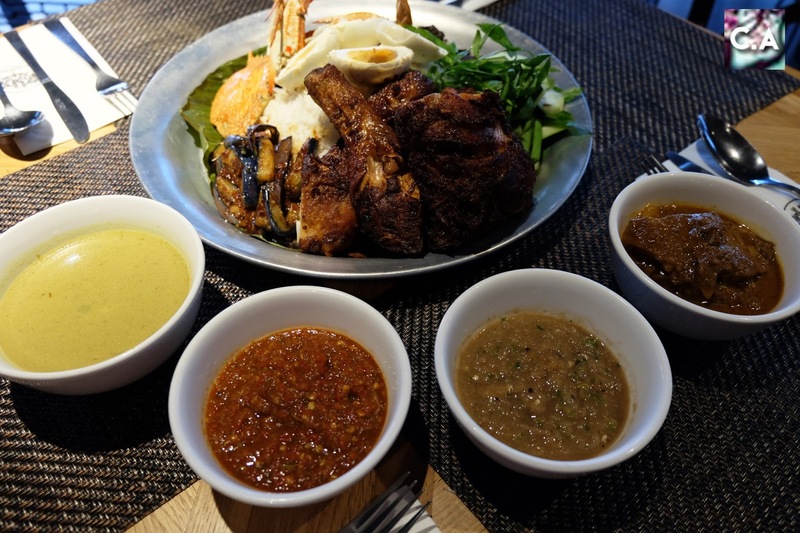 Get Your Nasi Dulang at Melur & Thyme This Ramadhan Season! It's a first day of Ramadhan and I'm pretty sure you already have a plan where you should breaking a fast at! So, I'm here trying to be part of the solution and suggest you to try Nasi Dulang Set Menu at Melur & Thyme. 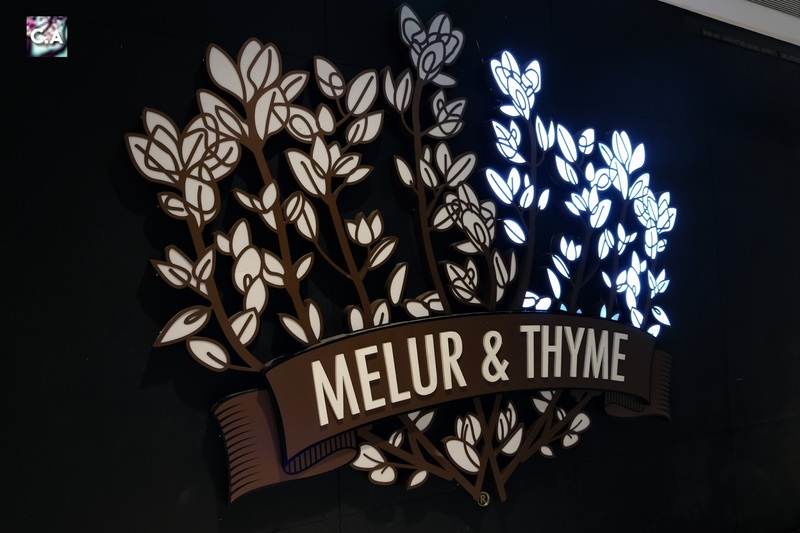 Mixture of East and West, Melur & Thyme has been adding a modern touch to a traditional cuisine since 2013. For this year Ramadhan they have prepared two set of Nasi Dulang starting from today (27th May) until 24th June 2017. 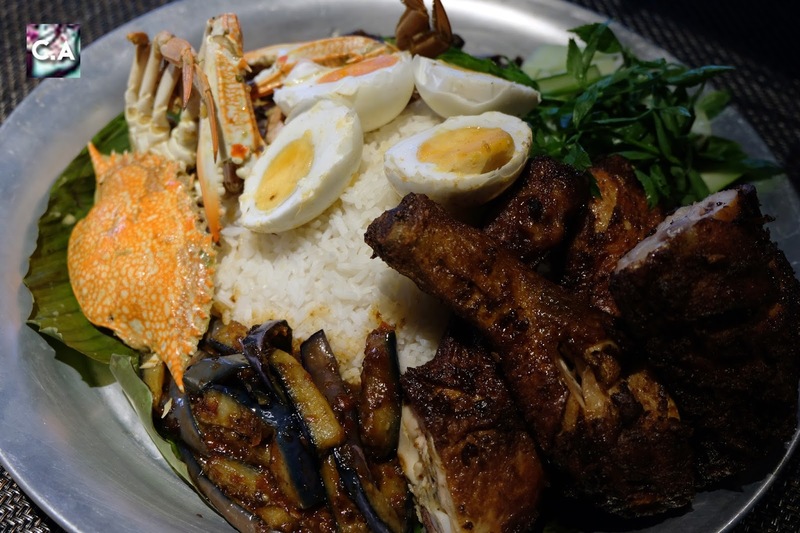 Nasi Dulang consists of rice and multiple choice of dishes on ONE tray. It was meant to be shared with your family and friends. 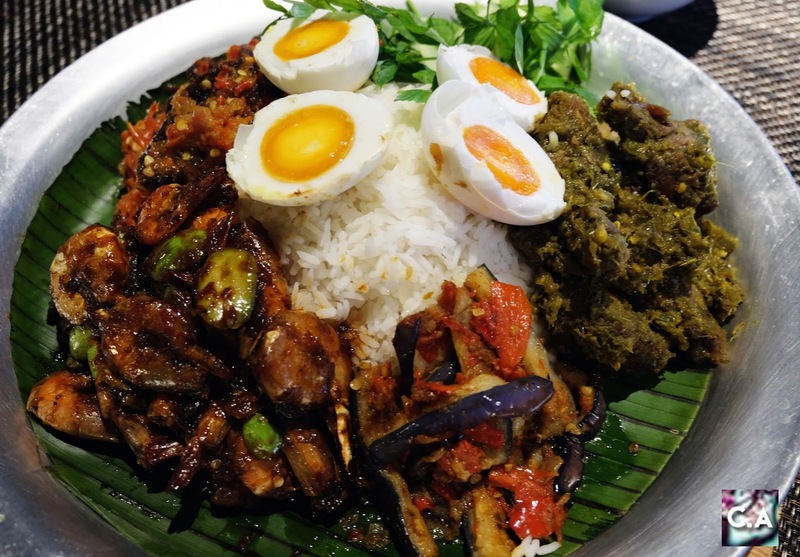 In this case (at Melur and Thymes) it can be shared by TWO or FOUR person and here is the full info about 'Nasi Dulang Set Menu'. 1. In the picture it looks small, but it's actually quite a lot for 2 people. 2. Ketam Masak Lemak Cili Padi was okay and not that spicy. 3. I love the terung masak sambal, because its really nice to just eat that with rice. 4. Other than that, it was quite so-so for me. Kuah (gravy) is served in small bowl to keep the rice from soggy. 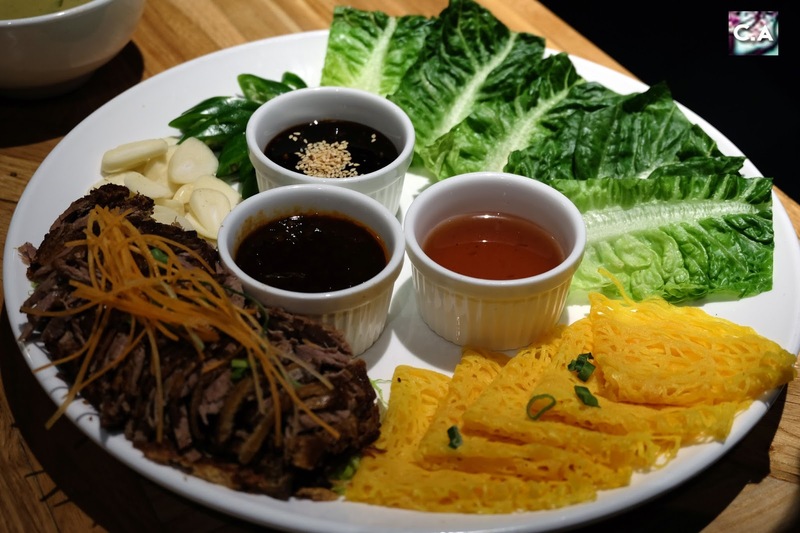 Dulang Set B looks delicious! 1. We didn't get to try this set fully because we were served with Dulang Set A. 2. But, I do get to taste their Sambal Udang Masak Petai. Usually petai will dominate in terms of smell, but for this one I love that it doesn't smell that strong. 3. Although the colour of Ayam Masak Cili Hijau is green and looks spicy, trust me it is not spicy. 4. Other than that, it was regular for my taste bud. For this section, you will be served with Kurma, Assorted Malay Kuih and Dessert of the Day*. 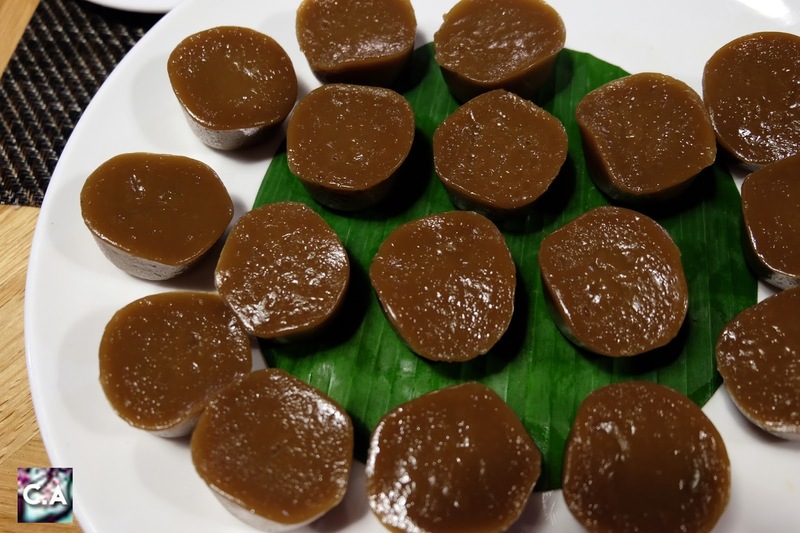 Assorted Malay Kuih that they served on that day is Kuih Lompang. 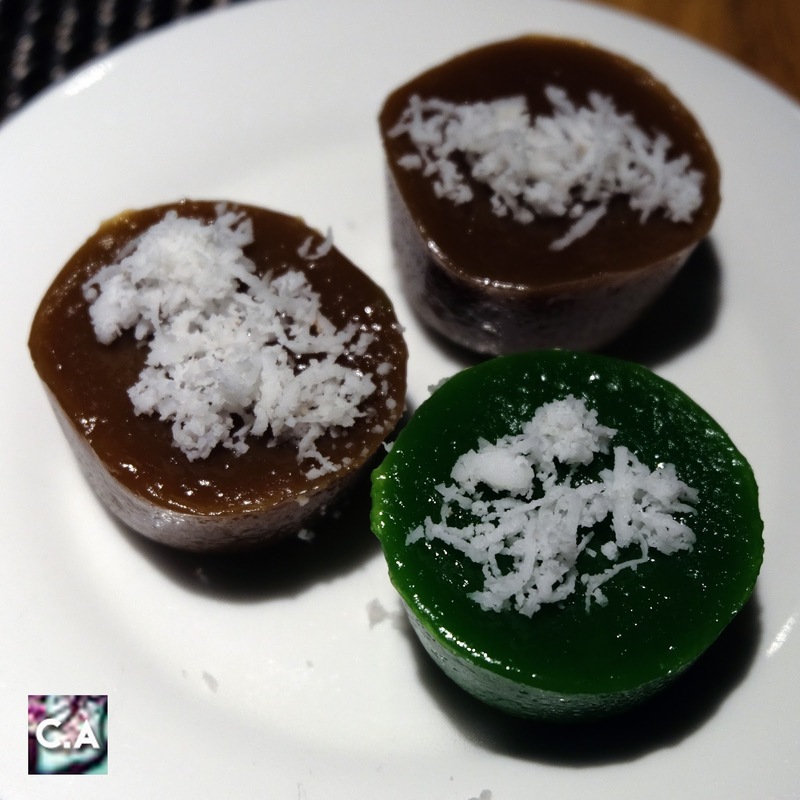 Melur & Thyme served two flavour of Kuih Lompang, which are brown sugar, and green for pandan flavour. 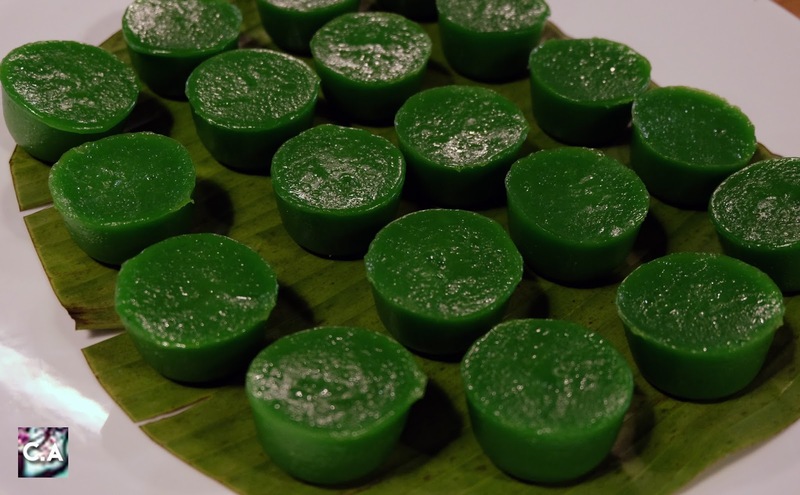 For me, I prefered pandan because it taste sweet while the brown doesn't taste as sweet as brown sugar would be. Oh! Kuih Lompang is not complete without grated coconut, like this. 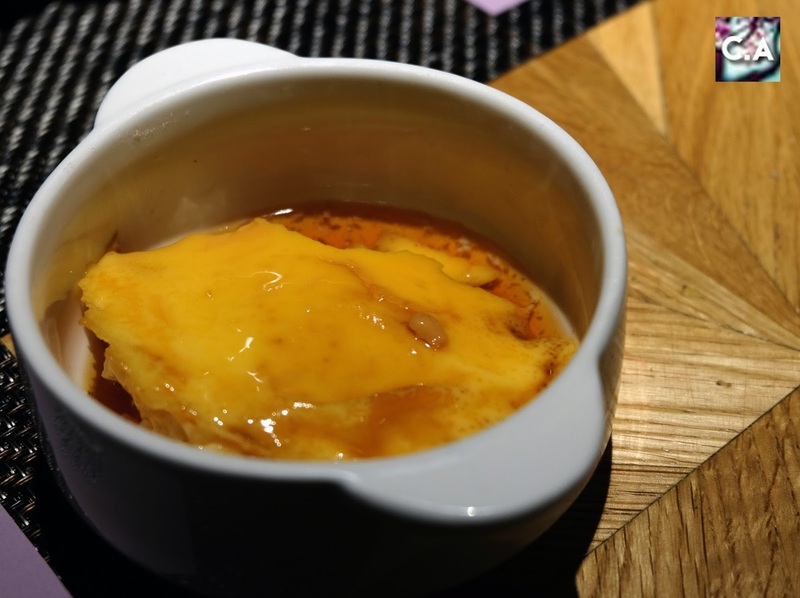 On the day of preview, they served us with bread butter pudding and creme caramel. 1. 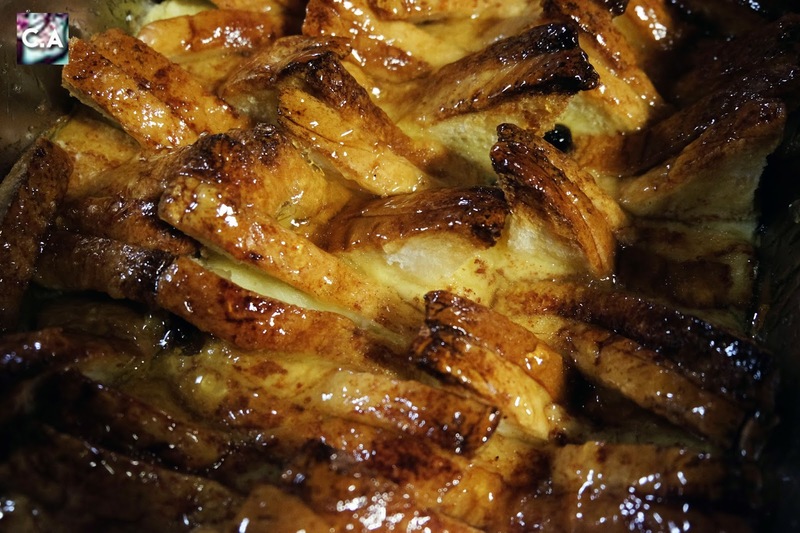 I think that bread pudding should come with a sauce which we didn't get on that day. So, I really hope they will served with the sauce to balanced out the texture of bread pudding. 2. Creme Caramel for my opinion is too sweet and taste like burnt sugar (some may love this, some may not). Each dulang set, started and dessert (dessert of the day) and drinks will be available to you at RM70++ for 2 pax and RM130++ for 4 pax. 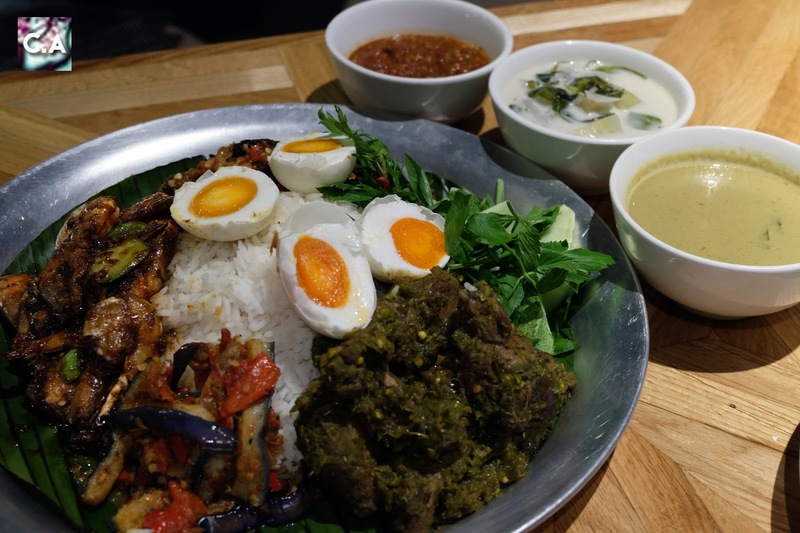 To be honest, I love this 'dulang set' concept because its prevent from food wastage and it's a malay traditional food with a bit of modern touch, what else could go wrong? WHERE CAN I BOOK THIS RAMADHAN SPECIAL? This Melur & Thyme Ramadhan Special is available at all outlets (Suria KLCC, NU Sentral, Pavilion KL & Gleneagles Kuala Lumpur). I suggest you to call in to listed outlets for reservations! For more info, please visit www.melurandthyme.com, Facebook at Melur & Thyme and Instagram on melurandthyme. You can also order from their ala carte menu, such as this asian fusion version of roti jala.